In the past month alone Wordfence Security have seen over 57,000 unique home routers being used to attack WordPress sites. 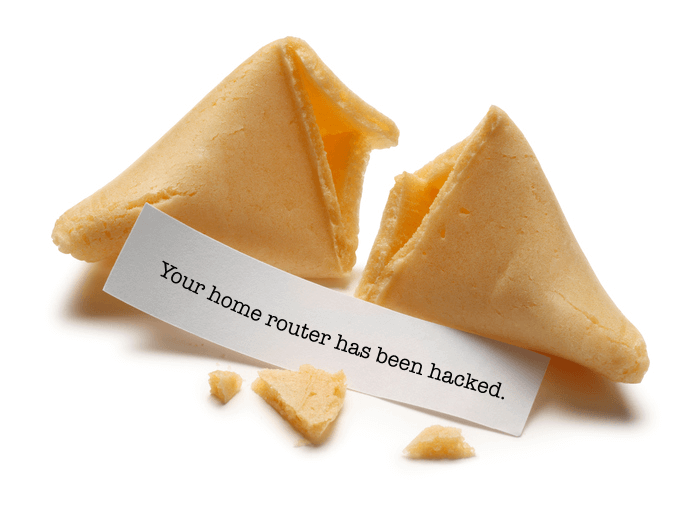 Those home networks are now being explored by hackers who have full access to them via the hacked home router. They can access workstations, mobile devices, wifi cameras, wifi climate control and any other devices that use the home WiFi network. Wordfence have created a utility you can run online to check your router. We highly recommend you visit their site and check the security of your router.